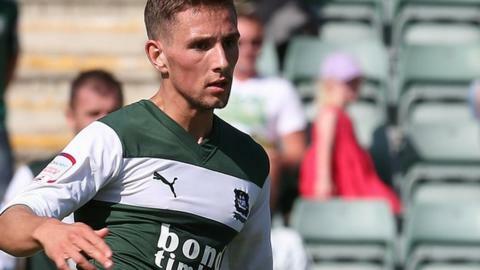 Plymouth Argyle climbed off the bottom of League Two after a comeback win over fellow strugglers Barnet. The visitors went in front when a quick breakaway saw Jake Hyde tuck home his 11th goal of the season from close in. The Pilgrims drew level thanks to a stunning 25-yard effort from Conor Hourihane, the first Plymouth goal at Home Park in over six hours. Ronan Murray's close-range finish secured the points for Argyle who move within a point of Barnet and safety.